Thank you, Simon Pearce! | Garrett Mentors, Inc.
Garrett Mentors, Inc. > News > Thank you, Simon Pearce! 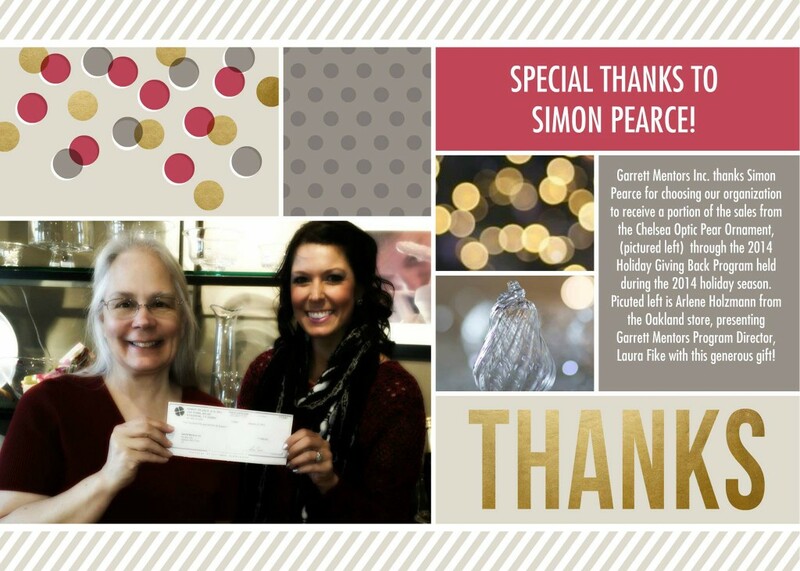 Thank you very much to Simon Pearce for selecting Garrett Mentors, Inc. to be the Oakland store’s local charity to receive a portion of sales from the 2014 holiday bauble sales program.